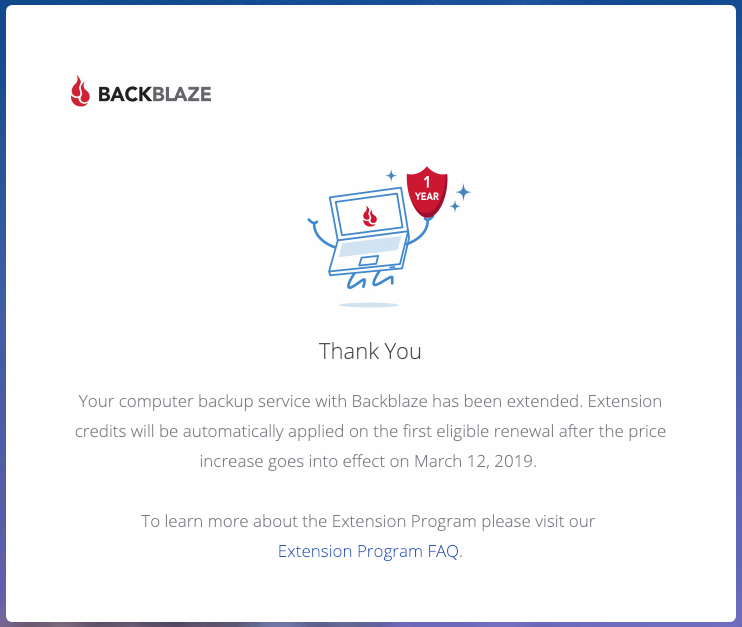 Online backup firm (and TidBITS sponsor) Backblaze has announced a price increase for its unlimited backup service, raising the monthly cost by $1. The discounted annual and bi-annual prices have also increased, but Backblaze’s pricing remains lower than competitors like Carbonite and Livedrive. In explaining the price increase, Backblaze says that the amount of data being backed up has increased faster than the cost of storage has fallen. The company also cited service enhancements that have increased its costs, including removal of backup limits, faster backups, and expanded restore options. If you’re already a subscriber, Backblaze is offering the option of extending your subscription by a year at the previous annual rate of $50. which seems like an easy decision if you’re happy with the service and already paying for an annual or bi-annual subscription. The price increase will take effect for new purchases and renewals after 11 March 2019 at 5 PM Pacific. All license extensions must also be purchased before that date. All-in-all, it is a reasonable increase for my little corner of the world. I only needed one catastrophic data loss plus reading Joe Kissell’s Take Control of Backing Up Your Mac to initiate a disciplined backup routine for both onsite and the cloud. This allows me to sleep at night and focus on my business and things that matter to me. If all my computers were destroyed or stolen I would still have my local and offsite backups. If those were somehow lost I would have Backblaze. If they are not recoverable on Backblaze I probably have larger problems to concern myself. more often, in larger amounts, for a much less important service. Yeah, in the scheme of price increases, this seems like the most reasonable one I’ve seen in years. Not very much, and with transparent reasoning. Its not surprising they lured people in after Crash Plan died and raised prices. 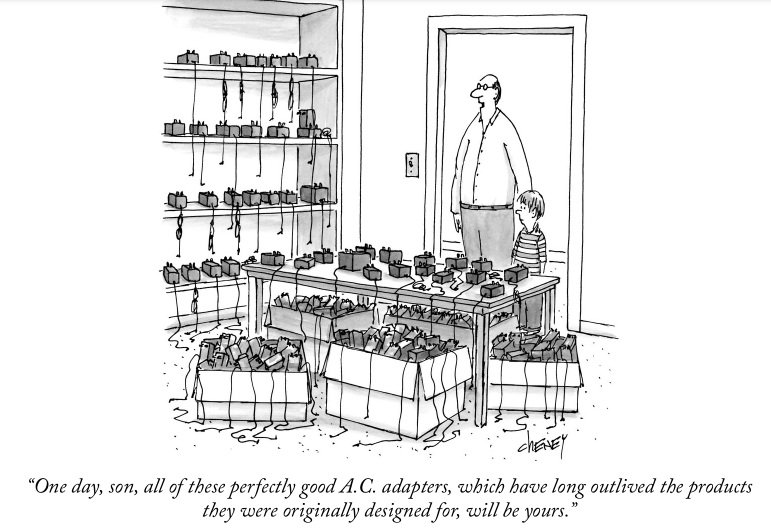 Not buying the excuse that the price of storage has not decreased. Did their financial wizards believe it was going to keep going down? Costs go up. I moved to iDrive, and I am very satisfied with the service. Much better than Carbonite, at least with a Mac. Well, yes, the price of storage always does go down. What changed is that the amount of data that people back up has increased faster than the cost of storage is dropping, so it no longer comes out in the wash.
I’m glad iDrive is working well for you—how much are you paying there for how much data? So if the price of storage always goes down, why do the attribute their price hike to more people using it? If more people are using the service, they should be making more profit to buy more storage space. 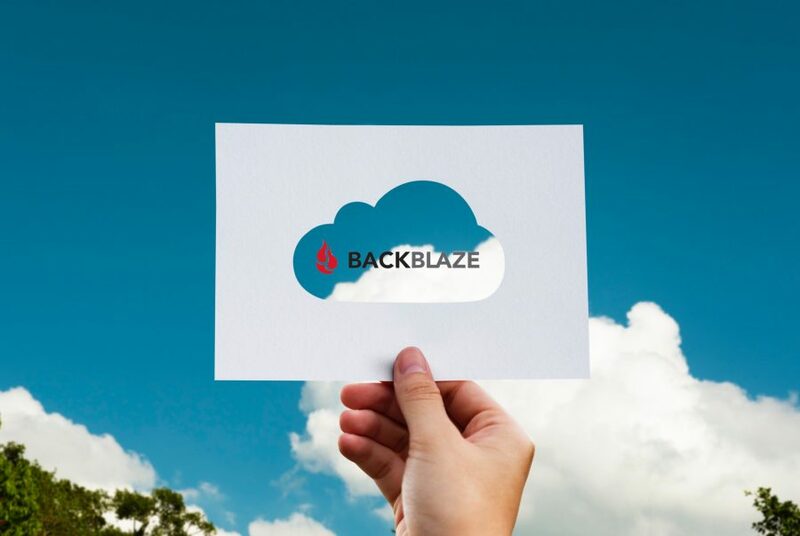 With regards to " If you’re already a subscriber, Backblaze is offering the option of extending your subscription by a year at the previous annual rate of $50. which seems like an easy decision if you’re happy with the service and already paying for an annual or bi-annual subscription." Yes, I am happy with the service and will go ahead and extend my subscription for a year at the $50 rate. Perhaps you might re-read Adam’s comment. You appear to be confusing the number of users with the amount of data each user backs up. What’s important to note is that Backblaze offers an unlimited backup plan—you can back up as much data as you want on a single computer, including external hard drives. I’m currently backing up 788 GB, for instance, and I’ll pay $145 over 3 years based on my previous plan and the $50 extension. So for Backblaze, adding more customers doesn’t necessarily scale with the costs of supporting those customers, depending on how much data they back up. iDrive’s approach allows for a tight match between customer accounts and provisioning the back end, since if they add a 250 GB account like yours, they know they need another 250 GB of storage to support you, but no more. And because they’re tying the account to storage, they can let you back up as many machines as you want since it can never cost them more than 250 GB in storage (and associated bandwidth fees). I’ll happily pay the extra dollar… I’ve over 3Tb with them, I’m effectively locked in, I don’t want to go through uploading that anywhere else. I do wish all of this could consolidate somehow, the Time Machine drives around the house for each of the machines, the NAS which only I seem to use, the multiple external drives (some un-spun a decade or more), and then online services from Backblaze to Dropbox (1Tb for me), iCloud (2Tb for the family plan), and a bunch of Google accounts of various sizes, not to mention OneDrive provided by the college I teach at (which no on uses, the staff all default to Google Drive). I get anxious occasionally and run through the state of things and ensure things are backed up or irrelevant but I wouldn’t want to explain the lot to anyone.